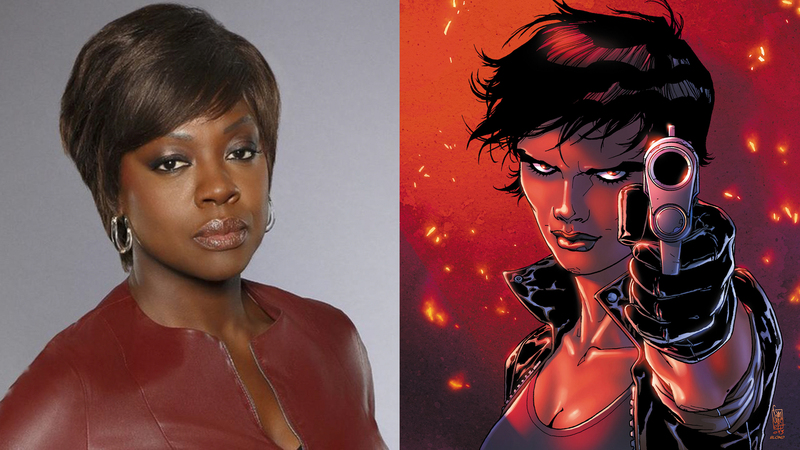 According to Latino Review, two-time Oscar nominee Viola Davis will be taking on the role of Amanda Waller in David Ayer’s ‘Suicide Squad.’ I’m so glad that Viola got the part. It’s not a done deal yet. The filmmakers need to be able to work around her ‘How To Get Away with Murder’ filming schedule. If everything works out, she will be joining the gang. Stars: Jared Leto as The Joker, Will Smith as Deadshot, Jai Courtney as Captain Boomerang, Tom Hardy as Rick Flagg, Margot Robbie as Harley Quinn, Cara Delevingne as Enchantress. Jesse Eisenberg is still in talks to reprise his role as Lex Luthor.